We've talked about keywords research and the building blocks of the site, including content. But content is not only about filling your website with articles, images or videos. As mentioned in the introductory post to site structure, the way you present your content and where you present it does matter. Let's talk about the locations where you need to pay attention to while writing your posts/articles...etc. 1) Page Title or the title tag of the page - It shows in the top bar of your browser and the linkable line in each of the results in the search engine results page. 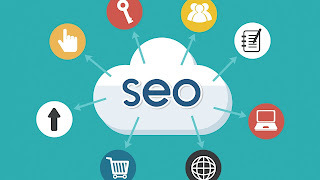 2) Page Description or the description tag of the page: The snippet of the page that shows under the title of the page in the search engine results page, and gives a brief description about the page. SO it helps both the search engine and the searcher getting to know more about the page. 3) Keywords Tag - think of it as a way of tagging your page to certain topics or keyword phrases. 4) Heading Tags (H1 – H6) - sorted by importance. Take a look at printed newspaper page; pick a long report or article. You'll find that the main headline is big bold and the sub-headlines are bold but in smaller font size, while the rest of the text is in normal font size. This helps the reader skim through the article without having to read the whole page. Think of your online page the same way. For the main page, the most important part is the title of your portal or site. This should be H1 (Main Headline). The best way to do it is through having it as an alternative text for your logo, and having the logo as your H1 tag. 5) Alt attribute for your images - Text in images cannot be read by machines or search engines. So both, search engines and visually challenged users will have an issue reading that, so alt image attribute came to help both. Also it will help users getting to know what your image was all about in case the image was broken or if the user's browser blocked images. 6) Text title tag of your text links. Helps mainly when the text of the link is general (like next - previous), Having the tag of the link will help the search engine getting to see the title of the page the crawler is about to visit, and this will also strengthen the weight of the keyword that we're targeting for that page. 7) URLs: User your keywords in your urls. 8) Text density in the page (text to html ratio): Make sure that your page is text heavy. The above will make your page/article look more relevant to the keyword/phrase that you need searchers to find you through. Stay Tuned for the next SEO Post!